Medical marijuana can be prepared in three ways – by smoking it, by vaporizing it, and by cooking it. The final option is considered by a lot of people to be the most interesting method since there are so many ways to cook medical marijuana. If you are cook or just a food enthusiast, you should definitely consider consuming medical marijuana by cooking it. Here are some interesting recipes you might want to try. 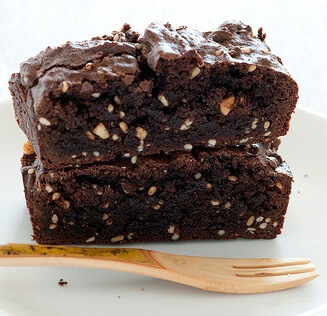 A great dessert to try out is the Grandma’s Classic Brownie recipe from The 420 Times. Almost everyone has his own memory of grandma serving delicious treats. To make this, the oven would have to be preheated to 350 degrees Fahrenheit. One ounce of chocolate and three-fourth cups of pre-made pot butter should next be microwaved for two minutes. Once the butter is melted, the chocolate would have to be stirred manually until it melts as well. Then, three eggs, two cups of sugar, and one teaspoon of vanilla extract would have to be added and stirred. The mixture can then be spread onto a pan and then baked for thirty minutes. Another brownie variety to try out would be the Chunky Peanut Butter Brownies. For this recipe, pre-made pot butter is also needed. First, the oven would have to be preheated to 350 degrees Fahrenheit. In a bowl, half a cup of peanut butter and pot butter would have to be mixed. Eventually, one cup of brown sugar, two eggs, and a teaspoon of vanilla extract would have to be added. The mixture is to be beat until its texture becomes fluffy. In a separate bowl, a two-third cup of flour a teaspoon of baking powder, and a one-fourth teaspoon of salt should be mixed. The next step is to add this mixture to the first mixture. Next, the peanuts can be added. The mixture can now be baked for thirty minutes. The Medicated Salsa Recipe of Chef Mike Delao is one to try. The ingredients for this include one cup each of mango, papaya, and pineapple. All of these are to be diced. The next set include 1/2 cup each of diced red onion and chopped fresh cilantro. A one-eight cup of cider vinegar, four pieces of fresh red chilli peppers, and crushed pepper flakes are included as well. Honey is to be added. A tablespoon of Medicated Cannabis Honey has to be added. All of these should be mixed well in a bowl and should be kept in the fridge for about thirty minutes. A tasty treat to try out is cannabutter by Laurie Wolf. First, marijuana would have to be boiled in a quart of boiling water. The amount is irrelevant. Then, butter would have to be melted on a pan. Once melted, the marijuana can be added to the pan. The dish should be cooked in low heat for about three hours. Once the cannabutter is ready, it would have to be cooled for an hour or so. It can be placed inside a refrigerator until the top part becomes solid. It is then ready for serving. To make it more delicious, maple syrup can be added to it. This can be a great snack or even a dessert for a satisfying meal. Next, there is Weed Omelette from Marijuana Cooking. This is very easy to make. However, like most marijuana recipes, it also needs pre-made pot butter – fifty grams of it. First, the eggs would have to be cracked onto a bowl. A pinch of salt and pepper as well as a drop of milk can be added to create a mixture. Then, it is to be whisked until the texture becomes smooth. Next, the pot butter can be added to the mixture. Grated cheese can be added too. The mixture is then to be whisked until it gets a creamy texture. On a frying pan, onion, pepper, mushrooms, and other add-ons would have to be fried. Once fried, the creamy paste can be added. Voila! – a tasty weed omelette for breakfast. These are some interesting recipes that can be made with weed. Experts say that cooking weed is the least effective way to get the benefits of it. Nevertheless, it is without a doubt that it is the most enjoyable way to consume medical marijuana. So if you want to whip up something with your medical marijuana, do not hesitate to try out these recipes. Medical marijuana is considered to be one of the best treatment options for various ailments and emotional problems. In Canada, it is legal for people to use marijuana medically. If you are interested, you can grow your own marijuana plant and consume it as you like. Contact Grow Legally and find out more!